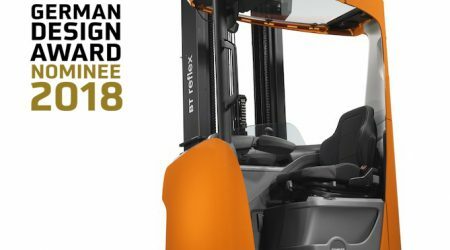 Yesterday the BT Reflex E-series reach truck received the top distinction in the competition, the “Red Dot: Best of the Best”. 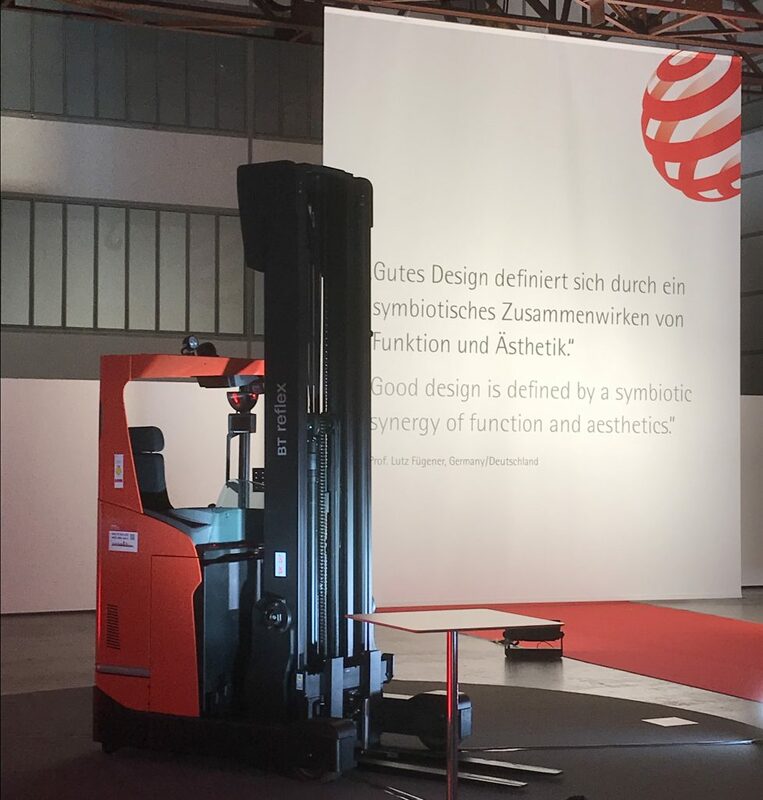 The BT Reflex E-series is the world’s only reach truck with tilting cabin. 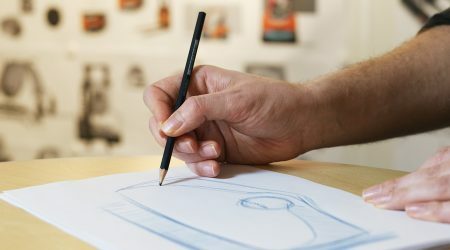 Participants from 59 countries entered a record number of more than 6,300 innovations in this year’s Red Dot Award: Product Design. Only products that scored points with their good design quality were selected as award winners by the 39-member panel of experts. Only 1.1% of entries received the Red Dot: Best of the Best, the highest award in the competition. 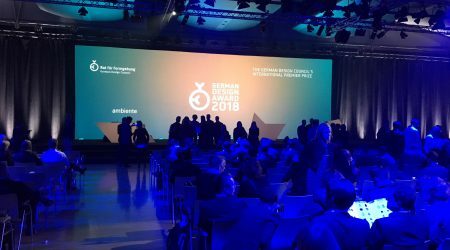 Their outstanding design achievements was celebrated at the Red Dot Gala in Essen’s Aalto-Theater. 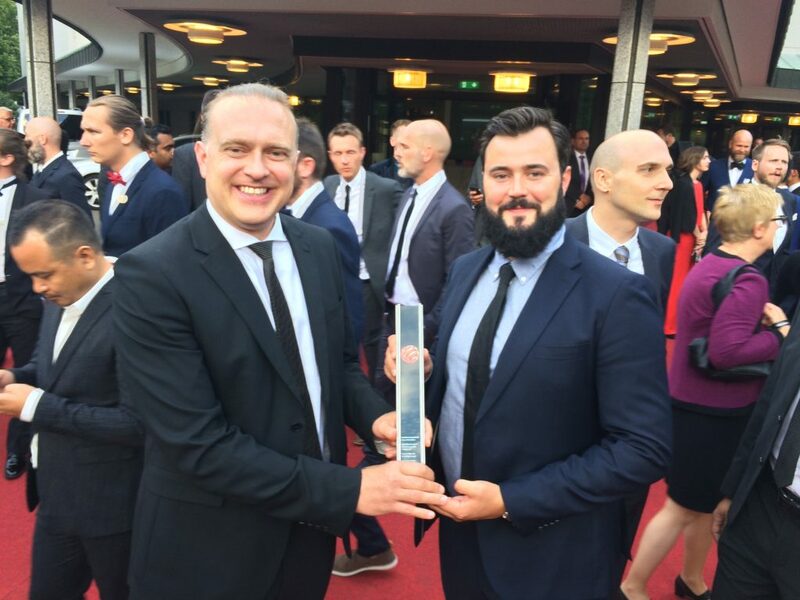 Magnus Oliveira Andersson, Head of Design; Mattias Nilsson, Industrial Designer receiving the Red Dot trophy.